Was that much loved northern music scene fairly depicted?? Ok, well, I have now watched the film and, for what it’s worth, here are my views on it. 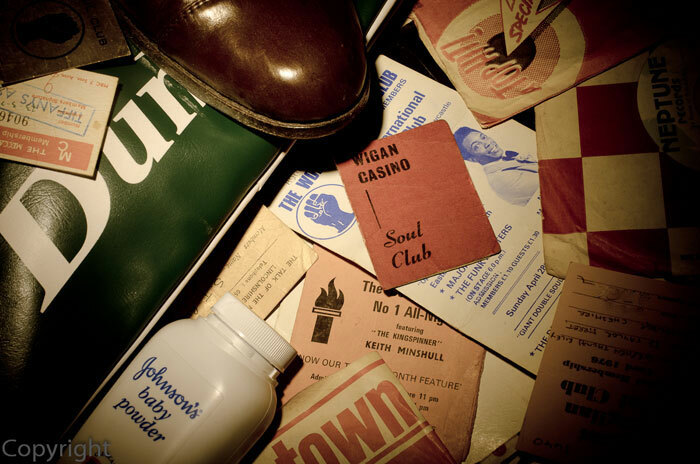 For those not familiar with it, Northern Soul was a music and club scene that flourished in the north and midlands of England from the late 1960s to the late 70s. It played upbeat, danceable, Motown-esque American soul music and was the object of fanatical following. To those who came later, to say it was the godfather of the ‘rave’ might help. The film is set in 1974 in an imaginary northern town that could be any of many in Greater Manchester and Lancashire. 1974 is significant, as it was a year after the well-known Northern Soul club, Wigan Casino, had opened, but a year before Northern Soul went over ground. In 1975, many of Northern Soul’s obscure, rare records were re-released or covered by other acts and made the charts and even Top of the Pops, and the scene became known to many more people. The film is therefore set in a crucial moment when the scene and music still had the charm of being a much-loved secret to those involved, whilst being largely incomprehensible to those outside. The first thing I want to say is, as someone who went to these functions, it was very difficult to watch it in the way you would another film, because of the tendency to measure it against your own lived experience. I expect most others who were around then feel the same. That creates a tendency to nit-pick in ways you can’t when watching Planet of the Apes, James Bond or the latest Jennifer Aniston romcom. Was Marvin Gaye's ‘Love Starved Heart’ really around then, for example? Those things are a bit of a distraction, but they shouldn’t be allowed to detract from the film. The only thing I would crib about was the sub-story about graffiti. I won’t elaborate on that in case it spoils it for people who haven’t seen the film yet, but I think it’s a bit non-credible. But, hey, it’s a work of fiction, and an artwork must be allowed its artistic licence, otherwise it’s just a bald document of fact. The aspect that has attracted most criticism in social media is the drug use. Some people evidently believe the Northern Soul circuit was a drug-free scene. You’ve got to be kidding me. The one I went to certainly wasn’t, and the film rang true: car-fulls of off-their-heads nutters, a frenetic driver who was dead a few weeks later, run-ins with Her Majesty’s finest, mates in the nick, paranoia, moments of sudden explosive violence, and so on. It was all well observed; in fact, it could have gone further…. Others say that Wigan Casino, the Northern Soul club most featured in the film, wasn’t well depicted. Nothing can bring back the actual experience of an all-nighter: the smells, the atmosphere, the heat, how you felt inside, but in terms of roughly what it looked like, the clothes and the place, I think they got it right.